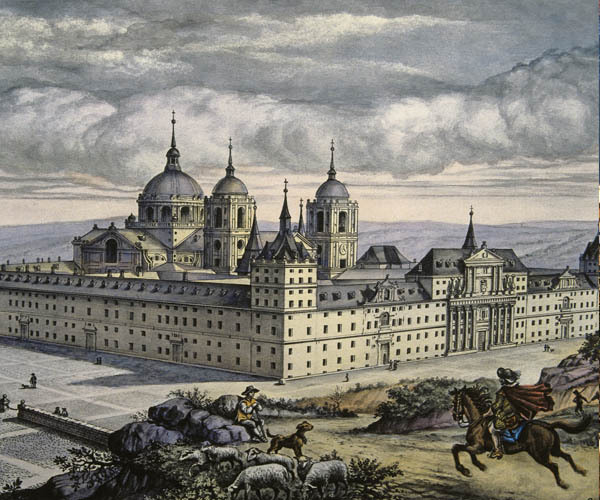 The town of San Lorenzo de El Escorial grew up, in lands that had belonged to the city of Segovia, to house the workers building the Royal Monastery of San Lorenzo de El Escorial, a collection of buildings whose construction was personally supervised by Philip II (1556-1598). 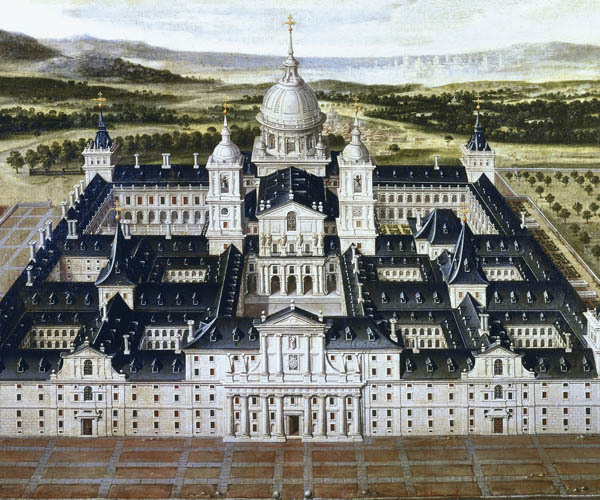 The Royal Monastery, converted into a royal residence, was built between 1563 and 1582, with Juan de Herrera as works director and planner. 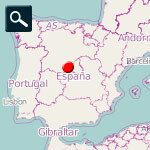 However, the town itself was only definitively planned and built much later, by the architects Juan Esteban and (in particular) Juan de Villanueva, after being granted a charter in 1767 by Charles III (1759-1788). In addition to the Royal Monastery and other earlier buildings by Juan de Herrera, such as the church of El Escorial de Abajo, and by Francisco de Mora, such as the parish church of St. Bernabe, a number of artistic and historic buildings surround the Royal Monastery that were constructed in the second half of the 18th century. Juan de Villanueva was the designer of the Casa Peláez (also known as the Casa del Infante Don Gabriel), commissioned by the Infante Gabriel, son of Charles III, with gardens designed by Maria Amalia of Saxony, the third wife of Ferdinand VII. The same architect was also responsible for the Casita del Infante (or Casita de Arriba), a neo-Classical building set in impressive gardens that was designed to be used for music recitals, and the Casita del Príncipe de Asturias (or Casita de Abajo). The latter was created for the future Charles IV and blends serene neo-Classicism with sumptuous decorative items including stuccoed ceilings, Pompeii-inspired paintings, parks and gardens. Further examples of the work of Juan de Villanueva include El Repeso public market – with interesting features that include its granite masonry, the arches at the entrance and the inside patio – and refurbishment of the Royal Coliseum of Charles III, a theatre for the Court designed and built by Jaime Marquet. One final building worthy of mention is the Hospital of St. Charles, constructed between 1771 and 1774 by Juan Esteban. 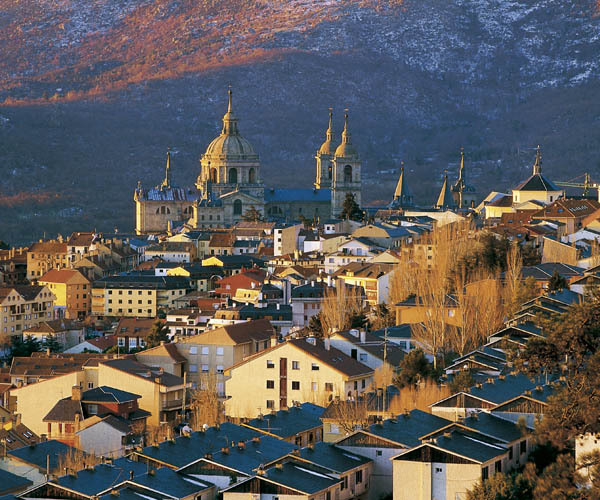 San Lorenzo de El Escorial is a prosperous town that offers all kinds of services associated with the Royal Monastery as a tourist attraction. 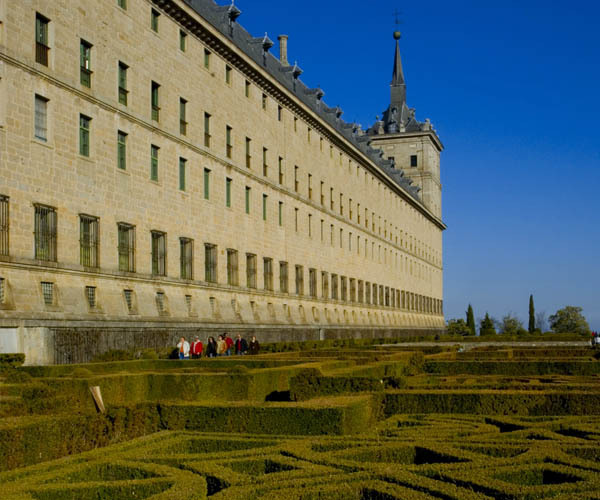 The town also hosts the renowned summer courses run by the Complutense University of Madrid and is home to the affiliated Maria Cristina Royal College of Advanced Studies, known today as the Escorial-Maria Cristina Royal University Centre.